Here's a friend of mine. Christian. 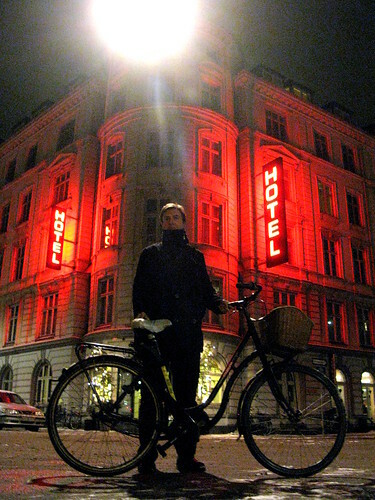 He lives in Brooklyn but is home in Copenhagen for an extended visit. We went a few nights ago for drinks and catch-up chatting. If you're in Copenhagen you should really check out his Facebook marketplace listing. He's selling a bunch of old, but cool, stuff. I've already bought my share. It's like an online, one-stop version of a funky Vesterbro flea market. See the Marketplace listing here. I'm curious - are Americans the only folks who wear helmets? I don't like them, but I wouldn't dare ride without one and I live in a town of <5,000 people!